As winter arrives here in southern Ontario, It seems my appetite shifts towards the hearty side of the food spectrum. And lets face it, nothing says hearty like Salisbury steak. 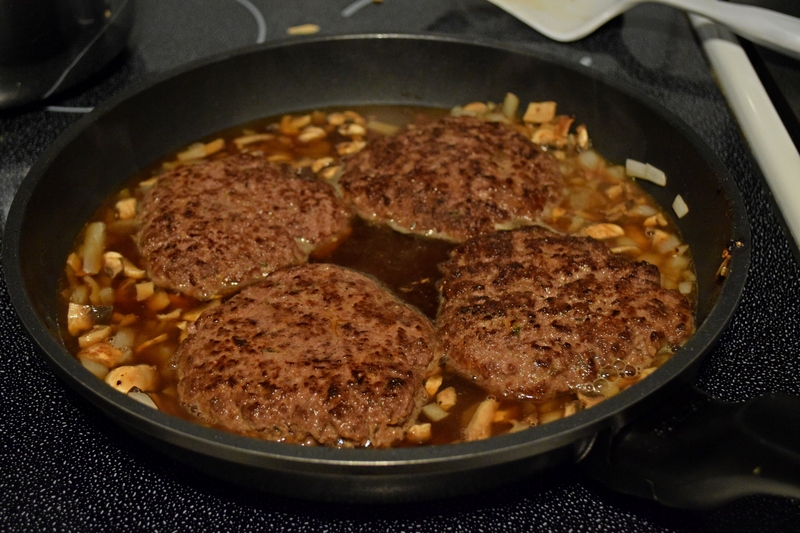 Since I have an abundance of venison this year, and I am on a tear cooking venison, I decided to take a proverbially kick at the venison Salisbury steak can. This was to be a big change from the meat pies and sausages I typically make with ground venison. 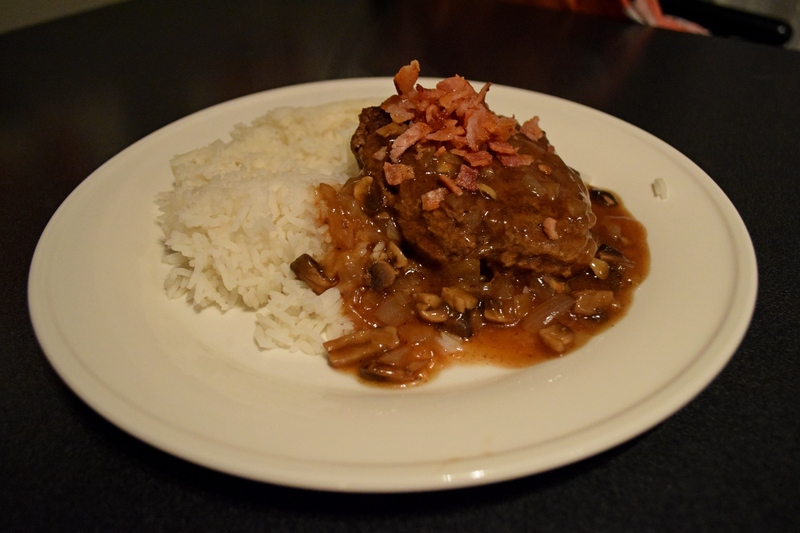 Salisbury steak is a moniker most people recognize but may not really know what it is. So what is it? Salisbury Steak is a traditional meal heralding from the united states, and created by Dr. J. H. Salisbury. This meal gained in popularity throughout the USA as it was seen as a more affordable alternative to expensive traditional steak cuts. This meal, or meals like it are popular around the world, having equivalents in countries like Japan (ハンバーグ – hanbāgu), Russia(котлета рубленая – kotleta rublenaya), South Korea(햄버그 스테이크 – hambeogeu seuteikeu) and the UK (grill steaks) as well as many others. Salisubury steak recipes are plentiful and can vary widely. This dish can be made with beef, pork, venison or any combination of the three. Accompanying sauces can also vary widely from beef broth based, to cream to tomato based (all of which taste delicious). water and cornstarch solution to desired consistency. 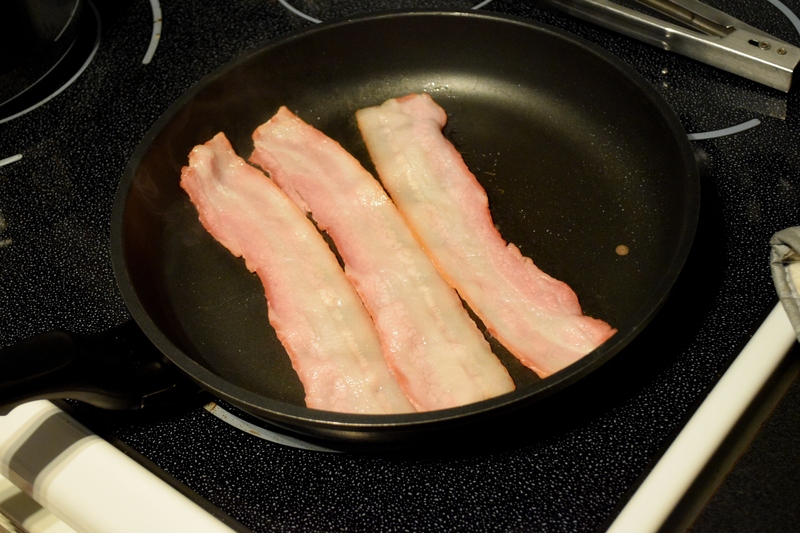 I start by frying the bacon strips to a crisp redish brown. Removed the bacon, chop, and set aside. Save some of the bacon fat in the pan for future use. This will add another layer of taste complexity to your dish while not over powering it with bacon deliciousness. 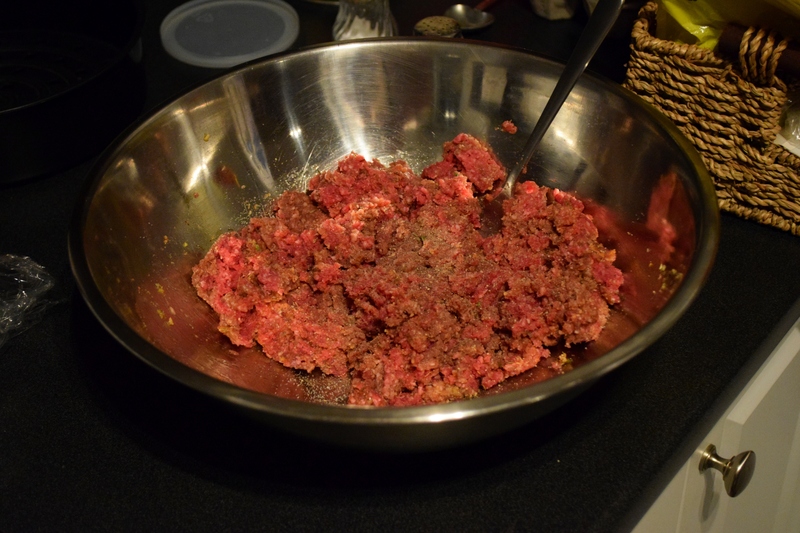 Mix together the 1lb of ground venison, 2 table spoons of breadcrumbs, 2 teaspoons of thyme, pinch of savoury, salt, pepper and the egg. If the mixture is too moist, feel free to add a bit more breadcrumbs. 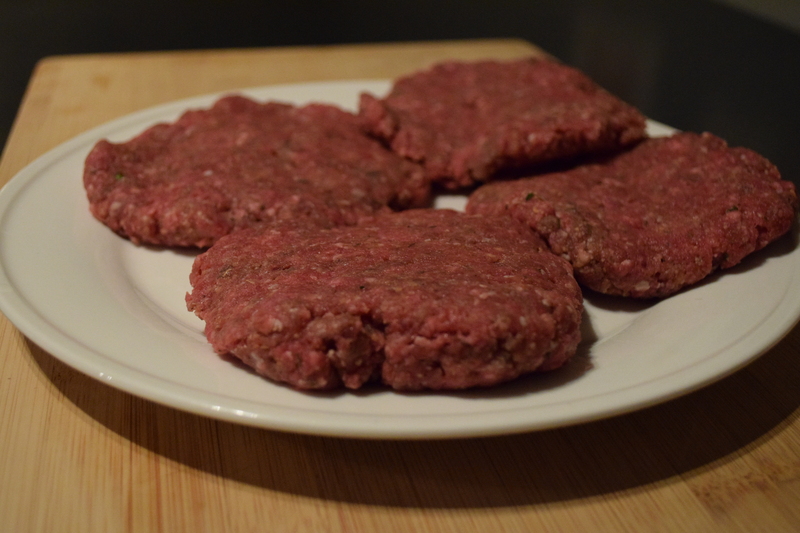 Shape into small patties or “steaks” for a more traditional feel. Heck, you could turn them into miniature deer shapes if you really felt like it. At this point I reheat my bacon drippings and place the steaks into the hot pan for a few minutes on each side. The goal is to obtain a golden brown sear. Once browned, removed from the pan and set aside. 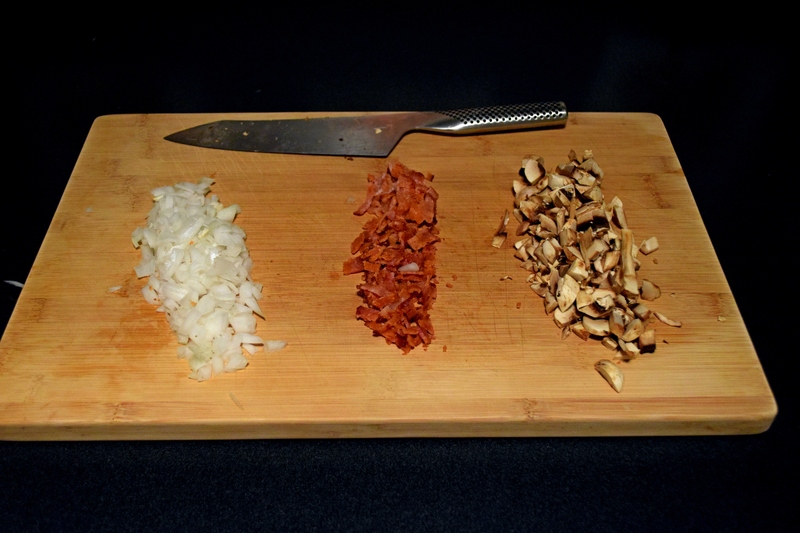 Next, sharpen up your knife and chop up the mushrooms and onion. Some people slice the onion into rings for aesthetic value, me, I’m all about the taste, so I chop or mince. Why? more surface area = more flavour. Add the onion and mushroom to the pan and sauté until lightly cooked. Add the cup of beef broth, 1 tsp of W sauce and simmer on medium heat. freely add salt and pepper to taste here and once your ready add the steaks and cover. Cook for about 10 mins. Once cooked through, I remove the steaks and add to a plate (with whatever side you desire) and I finish the sauce with the cornstarch and water mixture. If you haven’t thickened a sauce this way before, remember to constantly stir and add little bits at a time to prevent clumping or over thickening. Finally, assemble, top with bacon bits, and viola your done. It may not be the most pretty dish in the world but it certainly it packs a punch in the taste department. Not to mention it is as comfortable as comfort food gets. Besides who said comfort food needed to look good? Please feel free to comment and suggest any venison dishes you would like to see me take for a test drive here. I am open to cooking anything!